BERLIN (Bloomberg) -- Volkswagen AG will embark on one of the biggest recalls in European automotive history, affecting 8.5 million vehicles, after German authorities threw out the carmaker’s proposal for voluntary repairs. The Federal Motor Transport Authority, or KBA, demanded a recall of 2.4 million cars in Germany after reviewing proposals Volkswagen filed last week to fix cars fitted with software designed to cheat on pollution tests, German Transport Minister Alexander Dobrindt said today in Berlin. The mandatory recall is the basis for callbacks throughout Europe, where diesel accounts for more than half the market. Germany’s rare public snub to its biggest carmaker came after Volkswagen circumvented emissions regulations starting in 2008. Germany’s demands will speed a process that VW said will last beyond 2016, and give authorities more control. The 8.5 million affected cars represent slightly less than one-third of Volkswagen’s auto deliveries in the region from 2009 through August, based on sales figures the company published for the five divisions involved. The recall is also Germany’s biggest since its current rules took effect in 1997, more than the record 1.9 million cars the entire auto industry brought back in under repair programs last year, according to data from the Center for Automotive Management in Bergisch Gladbach, Germany. The mandatory recall will be more expensive for Volkswagen because the company will need to work on the cars more quickly, Ellinghorst said. The manufacturer has yet to specify exactly how it will fix the cars, though it has said some will require only a software update while others will need new or rebuilt engine parts. VW must share technical details of its fix with authorities by mid-November, and the recall will begin in January. The KBA will test vehicles to ensure the repairs were successful, Dobrindt said. New parts necessary to fix some vehicles will probably be ready by next September, he said. Throughout Europe, Dobrindt has estimated that VW will probably need to exchange or rebuild parts for about 3.6 million engines. Some analysts have said the scandal could cost Volkswagen as much as 35 billion euros ($40 billion) to cover vehicle refits, regulatory fines and lawsuits. Nearly four weeks after it publicly admitted to rigging U.S. emissions tests, Volkswagen is under pressure to identify those responsible. It has been criticized by politicians, investors and consumers for the time it is taking to produce answers. Two people familiar with the matter said today the company had suspended Falko Rudolph, who oversaw the development of diesel engines between 2006 and 2010, as part of its investigation into the wrongdoing, which has already seen three top engineers suspended. Rudolph couldn’t be reached for comment. As Volkswagen grapples internally with the crisis, about 400 of its top executives met today in Leipzig. Mueller said to employees the German company needed to give more power to its brands and regional operations while working to get to the bottom of the biggest business scandal in its history. "We have a good chance of shining again in two to three years," he told employees in a speech. The carmaker admitted in September to designing software so that 482,000 of its diesel cars in the U.S. would turn on full pollution controls only when undergoing laboratory emissions testing, not on the road. Since then the deception has been shown to be far broader, affecting about 11 million cars worldwide. The software was also active in diesels VW sold with the same EA189 engine in Germany, Dobrindt said today. The diesel scandal has wiped more than 21 billion euros ($23.9 billion) off Volkswagen’s stock market value. VW must tell authorities by the end of November exactly how it will fix the cars, and the recall will begin in January. The KBA will test vehicles to ensure the repairs were successful, Dobrindt said. New parts necessary to fix some vehicles will probably be ready by next September, he said. Stefan Bratzel, head of auto research at the University of Applied Sciences in Bergisch Gladbach, Germany, said the KBA is under pressure to show to the public they are in the driver’s seat over the emissions scandal. "Recalls to fix key safety issues that go to the core of a vehicle’s operation almost always occur voluntarily, with the KBA monitoring. So making this fix -- while the cars are running safely -- a mandatory one shows the political pressure," he said. The KBA and other European national authorities were due to provide an update to the European Commission in Brussels today on investigations of the emissions scandal in their respective markets. 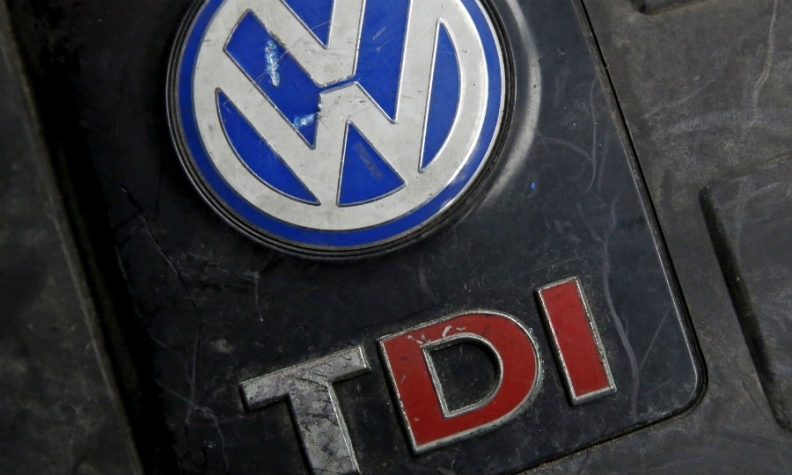 VW is under pressure to identify those responsible for the wrongdoing. The automaker has been criticized by politicians, investors and consumers for the time it is taking to produce answers. The pressure on VW extends beyond Germany. Police today raided the Italian headquarters of VW in Verona and its Lamborghini subsidiary in Bologna. Italian authorities are investigating managers at VW and Lamborghini in Italy for alleged fraud, the chief prosecutor in the northern town of Verona, Mario Giulio Schinaia, said. Executives at both companies are being investigated "for technical reasons" because Lamborghini is controlled by Volkswagen, Schinaia said. A spokesman for VW subsidiary Audi, which controls Lamborghini, said the raids were part of investigations into the emissions affair. The automaker is cooperating closely with the authorities, the spokesman told Automotive News Europe. German prosecutors raided VW facilities and private homes last week as part of a criminal investigation. VW's managing director in Britain, Paul Willis, said he did not believe there were more revelations to come in the scandal. "I don't think there is more to come out, that's my personal opinion," Willis told a committee of British lawmakers today. When asked about VW's discussions with U.S. regulators over a new emissions-control device on 2016 diesel models and implications elsewhere, Willis said: "I think we need to separate what's happened in the United States."